If you’re like me, you’re in more WhatsApp groups than you can possibly keep track of. Sports teams, groups of old friends, family members, neighbors, online communities, the list goes on. Frankly, it’s an awful experience. It’s so awful that I just mute them all How to Silence Notifications in WhatsApp and Telegram How to Silence Notifications in WhatsApp and Telegram Sick of annoying group chat notifications on WhatsApp or Telegram? Here's how to silence them. Read More . It’s easy to do: open the group in question, tap on the three vertical dots in the upper right-hand corner, and select Mute notifications. But alas, there’s another way to quickly communicate with a large number of users on WhatsApp—and you won’t need to use groups at all. The feature is called Broadcast Lists. The methodology for creating Broadcast Lists differs slightly between Android and iOS. Both operating systems let you message up to 256 people at the same time. Note: Only people who have your number saved in their address book will receive the message. Click on the Chats tab at the top of the app window. Tap on the three vertical dots in the upper right-hand corner. Tap on the people’s name that you want to include. Tap on the green tick in the lower right-hand corner. Click on the Chats tab at the bottom of the screen. Tap Broadcast Lists in the upper right-hand corner. Mark the checkboxes next to people you want to include. When you’re ready, tap Create in the top right-hand corner. 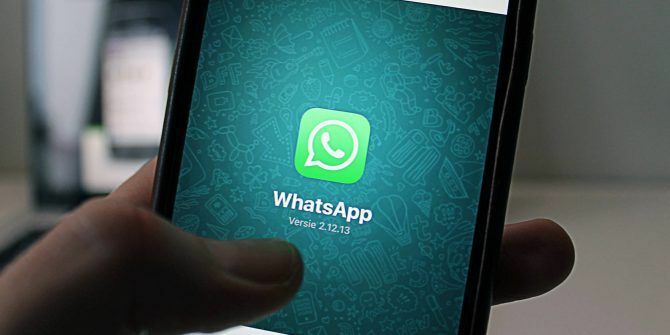 If you’d like to learn more, have a look at some other must-know WhatsApp features 10 Best WhatsApp Features Everyone Must Know 10 Best WhatsApp Features Everyone Must Know Want to get the most out of WhatsApp? Some features -- hidden and obvious, new and old -- are essential to improving your experience. Here are some of the best. Read More . Dude, I have been doing this from 2015...but only hitch while deleting...individually u need do it...Privacy maintained...No one knows other group members.Reply will be directed to the sender ONLY... EExcellent for communicating Breaking / Emergency news..! !